FAZ family is growing and growing. VONDOM proposes a bar counter inspired, like the rest of the pieces from the collection, by mineral forms that could be found in nature. In this case, it recalls the shape of crystallized quartz. 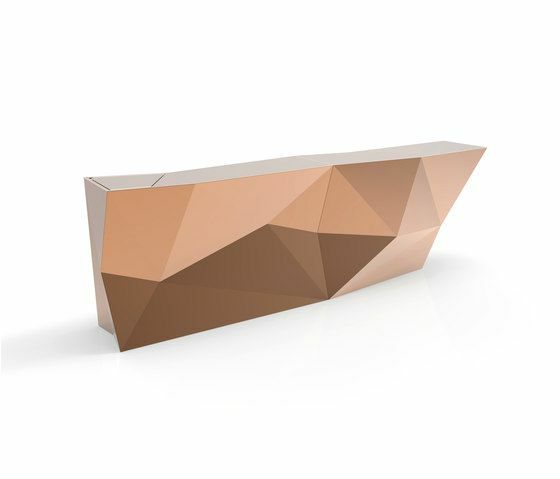 Ramón Esteve completes the collection with this new piece, thinking in the visual impact of seeing a bar counter with the same faceted geometry. RGB lighting is also incorporated, a highly weatherproof system that can be used to create truly enveloping atmospheres.